Xiaomi Redmi Note 3 Pro is an awesome smartphone that looks set to further boost its maker’s reputation of pushing out devices with high-end specs at highly affordable prices. The mid-range phone offers virtually everything you could want for enjoyable user experience, from a brilliant Full HD display to a massive battery, ample RAM and a hexa-core Qualcomm processor. An upgraded variant of the Xiaomi Redmi Note 3, this affordable handset features an all-metal body, which is increasingly becoming commonplace these days, thanks to Chinese phone makers. The Redmi Note 3 Pro straddles the middle ground in terms of thickness and weight at about 8.7 millimetres and 168 grams respectively. It rocks a large 5.5-inch touchscreen with a Full HD resolution of 1920 x 1080 pixels for a high pixel density of over 400 pixels per inch. Users should expect immersive wide-angle viewing given this display is based on IPS technology. Xiaomi Redmi Note 3 Pro offers a powerful pair of snappers – a 16-megapixel rear sensor and a 5-megapixel front sensor. With this setup, you should be able to take awesome images, at least on paper. The internal storage memory of either 16 GB or 32 GB sounds sufficient, but that is sadly all you get it is not enough for you as there is no microSD card support. 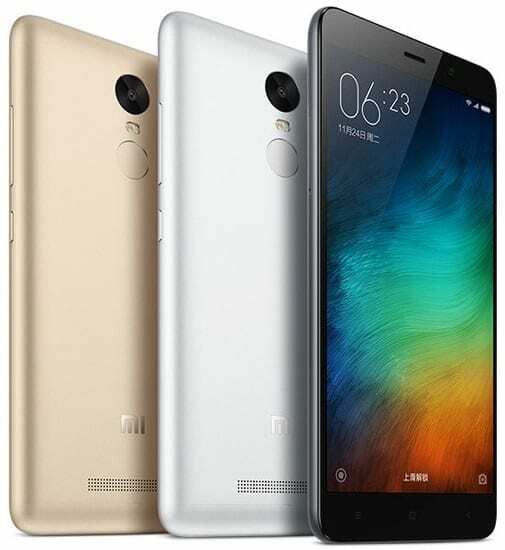 On the inside, Xiaomi Redmi Note 3 Pro is equipped with a six-core Qualcomm Snapdragon 650 processor – the phablet is one of the first devices to come with this renamed chipset. This powerful CPU delivers processing speeds of up to 1.8 GHz and receives backing from decent 2 GB or ample 3 GB of RAM and a capable Adreno 510 graphics solution. A tad disappointingly, the device will run on Android 5.0 Lollipop operating system which, perhaps thankfully, has Xiaomi’s new MIUI 7 skin on top. A massive 4000mAh Li-Ion battery is in charge of juice supply and looks promising for more than a day of heavy usage on a charge. The Redmi Note 3 Pro supports dual-SIM functionality as well as 4G LTE (Cat. 7) connectivity. Bluetooth 4.1 and super-fast Wi-Fi 802.11ac are also included in the package. Xiaomi Redmi Note 3 Pro is not yet available in Nigeria. When available, you can buy it at leading online stores in the country. Xiaomi Redmi Note 3 Pro Price in Nigeria is expected to range from N45,000 to N55,000 depending on your location in Nigeria.